Dutch steel charter cruisers lined up on the river Vecht in the scenic little town of Loenen aan de Vecht near Loosdrecht. partners, we decided not to proceed any further. maintained and prices are lower than in France or England. There is a remarkable similarity among Dutch cruisers! 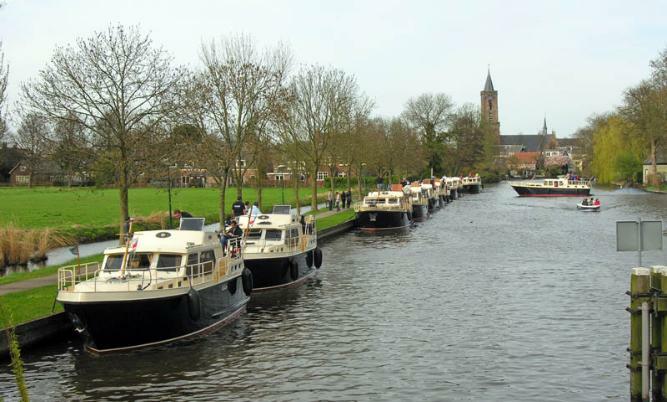 This is a fleet of charter boats in Sneek up in Friesland. 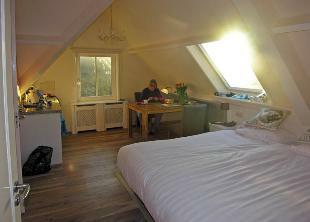 Our room at Landhuis Logies Ouderhoek - perfect! 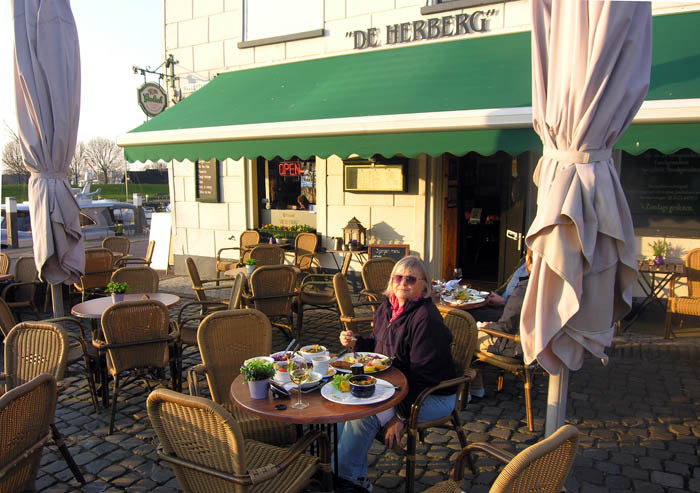 Spring, tulip season, in Holland. 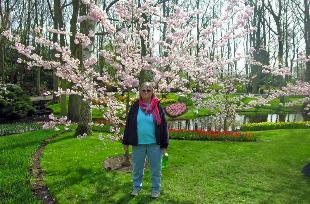 At the Keukenhof Gardens. 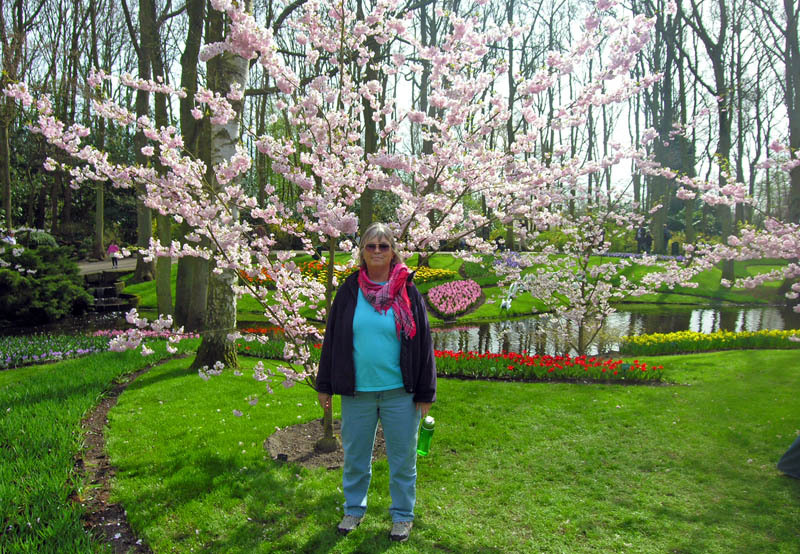 Americans are high in Europe right now, gas for our rental car cost over $8.00 per gallon! are as enthusiastic about this project as we are, and so be able to share the costs and responsibilities of ownership. $50,000 to $100,000 range. If you're interested, let me know - I'd be happy to share. 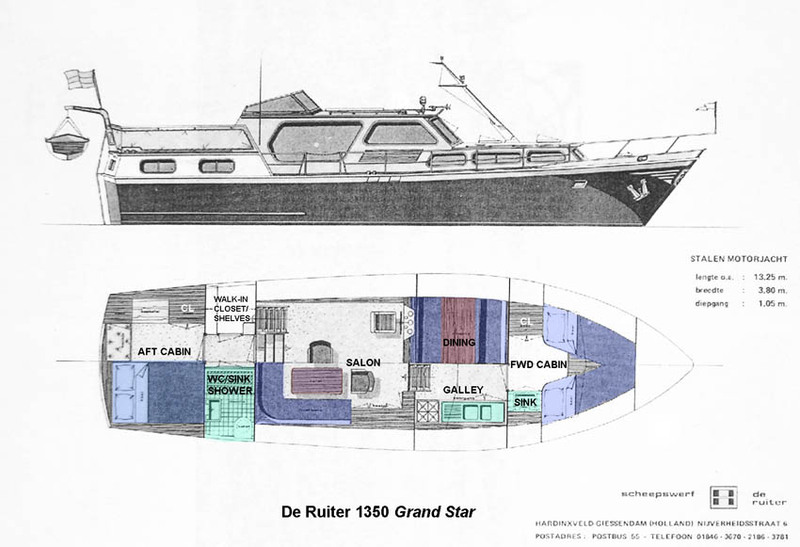 Luxemotor hull. 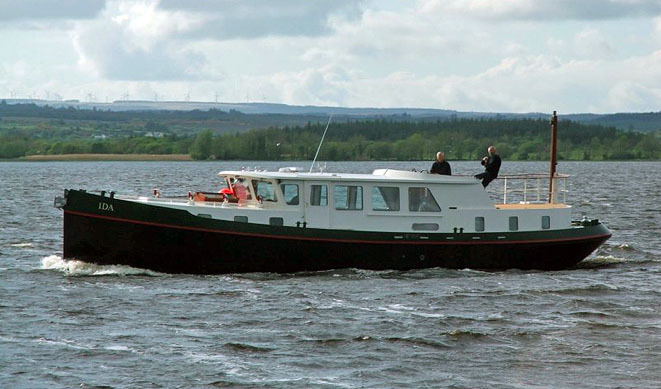 Instead of the traditional wooden folding pilothouse, she has inside and outside steering. bottom. 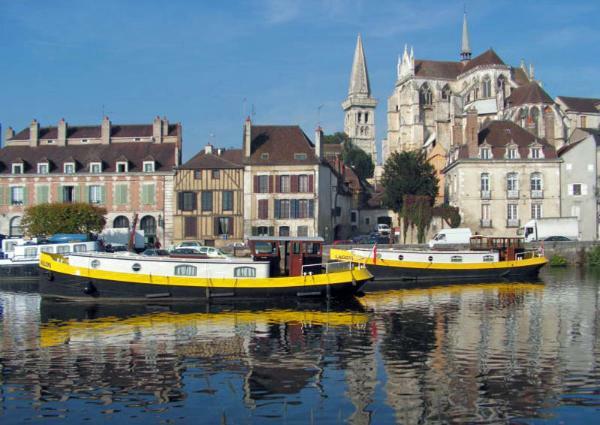 Perhaps, with the right group of partners, we could afford a European Cruising Barge like this! "C" meaning they are seaworthy enough to handle 6-ft seas and Force 6 winds - aka a "strong breeze"!